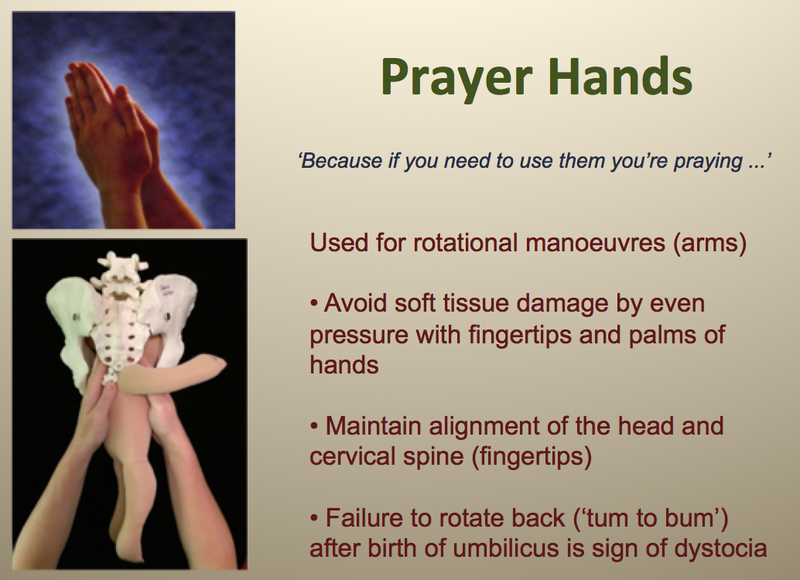 When I talk about ‘upright breech birth,’ I mean a birth where the woman is encouraged to be upright and active throughout her labour and able to assume the position of her choice for the birth. This is in contrast to the classic lithotomy position, in which the woman is flat on her back, usually with legs in stirrups. Upright includes all fours, kneeling, standing, sitting on a birth stool, lying on her side if her body (and not her attendant) tells her to, etc. Birth position is not a static concept. The defining feature of upright breech birth is the woman’s ability to follow her birthing instincts, to move spontaneously in order to assist the birth. However, many providers have developed preferences, having observed women birth successfully in a variety of positions. Many advantages have been claimed for upright positioning. But if supporting this ideal is to become a reality, we need two things. 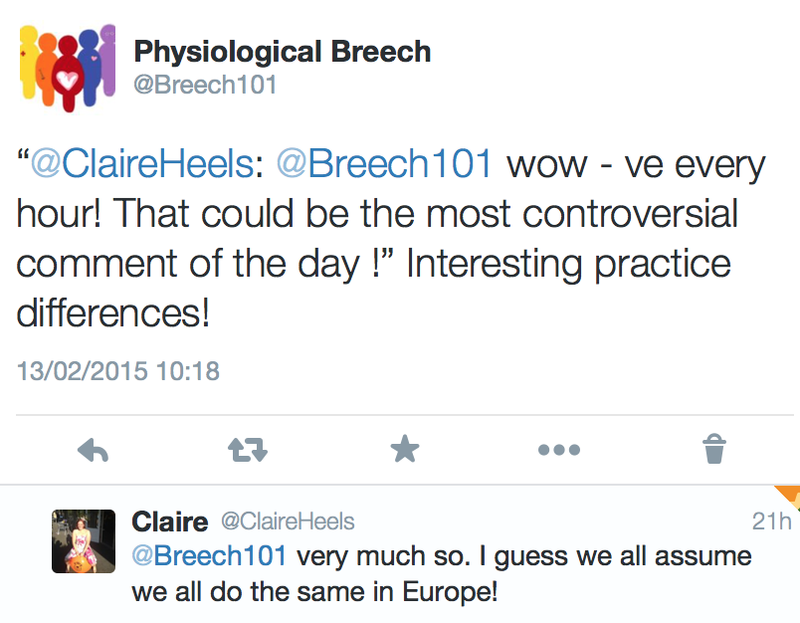 Firstly, we need evidence regarding the outcomes for breech births managed in non-lithotomy positions. And we need skills in managing complications which occur when women are in non-lithotomy positions. A step forward for the evidence occurred this week with the publication of research covering 11 years of experience at a large metropolitan teaching hospital in Australia (Foster et al 2014). This retrospective study, which used an intention-to-treat analysis, found much lower rates of complications than the Term Breech Trial, in line with those achieved by the PREMODA group, concluding that in experienced centres, vaginal breech birth is a reasonable option. For me, the take home message coming from the increasing number of studies which show the same comparatively better results is less about the inherent safety of breech birth, and more about how fundamental the local experience level and organised team approach is to achieving optimal safety levels. Although the article does not discuss birthing position, the correspondence author, Dr Andrew Bisits, is well known for supporting upright breech births using a birthing stool, and in many of the births in this series, the women would have remained upright and active (see also Kathleen Fahy’s description of spontaneous breech birth). Some evidence indicates that use of a birthing stool may shorten duration of labour (Swedish birth seat trial), and this would certainly be an advantage for a breech birth. Another advantage to using a birthing stool is that health professionals who are comfortable with lithotomy manoeuvres do not have to make any major adjustments to their practice, aside from a willingness to get closer to the floor. The baby emerges facing the same way, the same signs of descent are observed, very similar manoeuvres are used to resolve a delay in progress. An obstetric bed can also be adjusted to mimic a birthing stool, but women have more ability to stand up and move spontaneously when their feet are planted on the ground. A number of birthing stools are available in the UK. 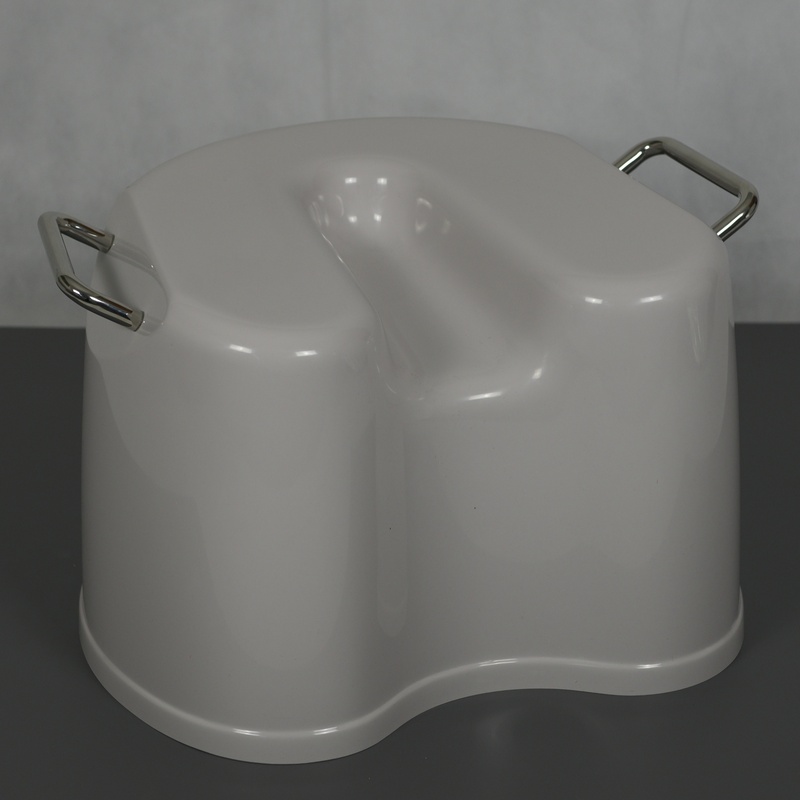 Active Birth Pools supply a model which is very similar to the Birthrite seat. A birthing stool is a good investment for a Trust. As one of my former obstetric colleagues put it, “If they are good for breech, they are probably pretty good for cephalic babies as well!” Indeed. Midwives have long supported women to birth in upright positions (for example, Maggie Banks, Jane Evans and Mary Cronk are well-known midwifery authors about breech), but as the RCOG guidelines (2006) recommend lithotomy, supporting this in hospital settings has been difficult. However, around the world, obstetric departments are increasingly discovering the benefits of enabling women to be upright, especially in all fours, kneeling and standing positions. These include teams in Frankfurt (some statistics, some background), Salzburg, Ecuador (Parto podalico), Brazil (parto natural hospitalar pélvico, Parto Pélvico Existe Sim!, and of course various parts of the UK. Facilitating this type of breech birth requires a change in perspective and an understanding of new manoeuvres to assist in the event of complications or delay. The sooner these alternatives are incorporated into national skills/drills training, the more women with breech babies will be able to follow their instincts to assist with securing the safest possible delivery for their babies. This entry was posted in Research, Study Days and tagged all fours, Frankfurt, kneeling, lithotomy, Salzburg, standing, upright on April 24, 2014 by midwifeshawn.